One lucky reader will win a Nexus 7 Tablet (cash equivalent if and only if outside the US). Sweepstakes ends October 24th at 11:59pm ET. a Rafflecopter giveaway Disclosure: This blog did not receive compensation for this giveaway. Facebook, Twitter, & Pinterest are in no way associated with this sweepstakes. Prize fulfillment will be handled by Budget Earth. Would you like to have your products featured in a giveaway event? Want to increase your social media exposure? Contact susan.l.bewley@gmail.com to see how I can help YOUR company today! Great giveaway prize! I love fall. The weather is not too hot and not too cold, and tis the season for comfort food in the crockpot. 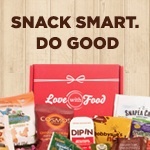 Great giveaway - would be wonderful to win. Off to enter! Wow, this is an awesome giveaway. Fall is just the best! What a great giveaway! Thank you for this opportunity. That is an awesome giveaway! I'd love to win! I love my Nexus! I think this is a great giveaway! Can't wait to see who WINS! What a great giveaway. I am sure there will be tons of entries! Nice! I haven't used the Nexus, but it looks like a great product. Thanks for the give-a-way info...much appreciated! I have been wanting a tablet for a long time. This is a great giveaway! great giveaway. a friend of mine has this and loves it. If i didnt have bad luck, i would have no luck...great giveaway though. i wish everyone luck! Nexus looks like a great tablet! What a wonderful giveaway! 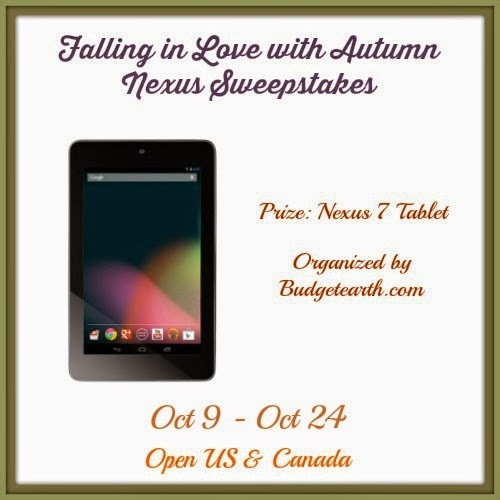 Someone is going to be extremely happy when they win this fab Nexus! It's an awesome giveaway! I love the autumn season - it's my favorite! I love the seasonal drink and sweets too!